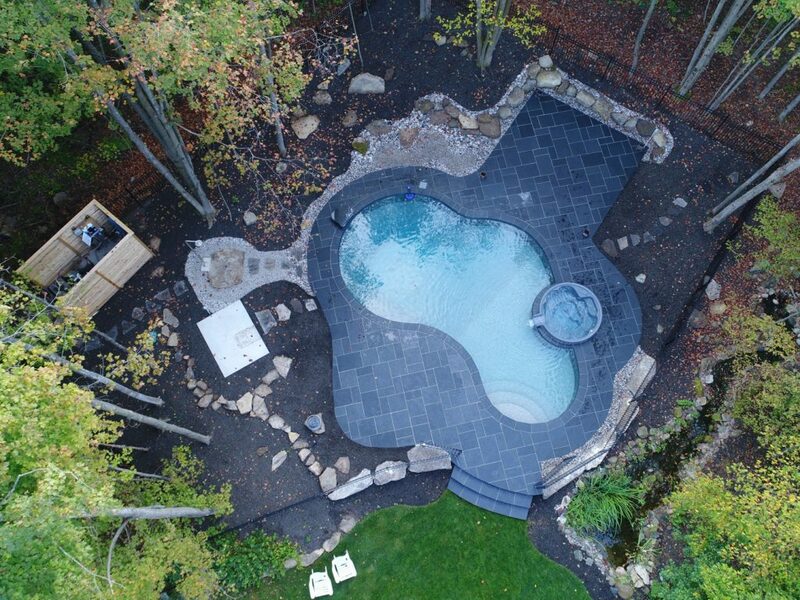 Swimming pool is 16′ x 36′ Custom free form with Spill Over Spa. Patio is Banas stone mortared on cement base. Phase II will add retreat.